School children from across South Yorkshire will spring into action on Wednesday for the South Yorkshire Sainsbury’s School Games trampolining finals. More than 100 young people will take part in the competition at Hillsborough Leisure Centre on Wednesday 11 February (10am-1.30pm).. Youngsters from Barnsley, Doncaster, Rotherham and Sheffield have qualified for the finals and will be taking to the mats to perform tucks, pikes and somersaults in the hope of winning gold medals. At the event, there will also be a trampolining display by members of Sheffield Trampoline Academy. It follows the a celebration event for the 2015 Games at Honeywell Sports Centre, in Barnsley, last month. Simon Pugh, development manager at South Yorkshire Sport, which organises the Games, said: “This is the second year running we have included trampolining as a standalone final. The sport is really growing in South Yorkshire. The trampolining event is one of three standalone sports finals which feature in this year’s games alongside a badminton competition which is being held at the English Institute of Sport Sheffield (EIS Sheffield) and cross country at Cannon Hall, Barnsley. 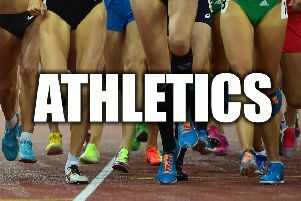 The multi-sport winter sinals at EIS Sheffield on Wednesday March 18 and summer finals in Rotherham on Wednesday July 1 make up the programme.